As a young couple, fresh out of Bible School with two daughters and a third child on the way, Jeff and Beth Jones felt God's call to pioneer Valley Family Church in 1991 with a vision to make an eternal difference in Southwest Michigan. As a husband and wife team, they have always led together as visionary pastors and have shared the pulpit as Bible teachers. They are passionate about building the local church in greater Kalamazoo and the global church around the world. Their message has always been focused on the basics of the Bible and has remained consistent since VFC's beginning. Throughout VFC's history, the goal of their teaching has been to help people live an abundant life through a personal relationship with Jesus Christ, in the power of the Holy Spirit and through faith in God's Word. In short, it's our mission statement: we exist to help people become devoted followers of Jesus who get the Bible basics, live the life and do the stuff. Jeff and Beth have four kids and one grandchild. Meghan is married to Brodie Hock. Annie is married to Zack Spangler. Luke is married to Kelsey Jones. Eric married to Alexa Jones. All of their kids and in-laws have served with them in the church for many years and each sense their own unique calling to ministry. Culture is often defined by values, priorities and language. At VFC our culture is defined by our mission, vision, core values, priorities and the language we use. To get the snapshot of VFC, just click and read up on the VFC Culture. 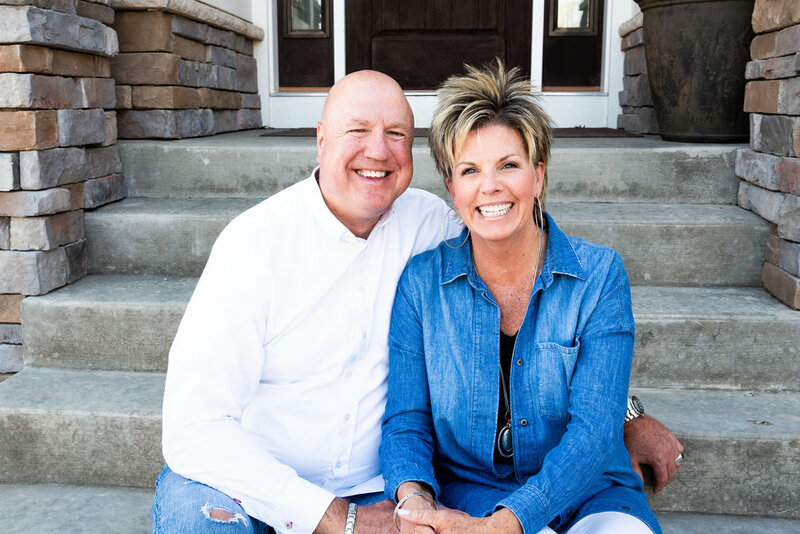 Valley Family Church began with a call to ministry for both Jeff and Beth Jones and then a God-ordained vision for a church in Southwest Michigan. As a teenager, the Lord put a dream in Jeff Jones’ heart to one day be a pastor. His desire was to help people. In 1986, after 12 years of success and partnerships in multi-million dollar businesses, he left the marketplace to follow God’s call to the ministry. After attending Spring Arbor University, Jeff began his ministry training preparation at Rhema Bible Training Center in Tulsa, OK and graduated in 1988. In 1979, God interrupted Beth’s plan to become a dentist with a call to the ministry. Her passion was to tell people about Jesus, through writing and public speaking. After graduating from Boston University in 1981, Beth began her ministry training preparation at Rhema Bible Training Center in Tulsa, OK and graduated in 1986. In 1991, Jeff and Beth Jones felt called to start a church that would serve families in Southwest Michigan. They envisioned a place where kids, teens, moms, dads, men and women who didn’t know God could find Him; where those who already knew Jesus could grow in the Word and discover the joy-filled Christian life; and where those who wanted their lives to count could be trained in the Word and ministry to be an ambassador for Jesus Christ in their sphere of influence. With a beginning core group of five adults and four kids, Valley Family Church held its Grand Opening service on September 21, 1991, and 125 brave guests showed up! Today, over 2500 people attend one of the four weekend services, and upwards of 4800 unique individuals visit VFC each quarter. 1991-1994 – Getting Started – First Building: VFC began in a rented building with 5 adults and 4 kids and grew to about 250 attendees with a strong foundation and a passion to reach Southwest Michigan. 1994-1999 – Renovating a Building & Developing Leaders – Second Building: VFC bought and renovated an industrial office building. Teaching the Word, developing leaders, launching small groups and growing the church infrastructure enabled VFC to reach out to more and more families. By 1999, the church had grown to over 500. 1999-2007 – Building a New Building & Doubling in Size – Third Building: When 14 acres of land across from the Crossroads Mall in Portage became available, VFC was able to purchase that property and build a 33,000 sq. ft. building to reach more people. Almost overnight the church doubled in size, going from 500 to 1000 attendees! Teaching the Word and training hundreds of leaders/volunteers was the focus as VFC continued to reach more and more families. We launched a summer Skate Park in the church parking lot and 400-500 teens showed up each Wednesday night to skate and experience love and acceptance in a Christian environment. It was clear that kids, teens and modern families needed and wanted God’s wisdom for life - in marriage, parenting, budgeting and walking with God. With the growth of the church and the number of families, kids and teens that were being drawn to VFC, we adopted an even more “culturally relevant” approach to doing church. VFC became more intentional than ever seeking God’s innovative help in holding services that would minister to kids, teens and adults. The result? It worked...and it’s working! By the time VFC celebrated its 15th birthday, over 2000 people were attending services each weekend. 2008 and Beyond – With God There Are No Limits – Fourth Building: Again, when the opportunity to purchase the 30 acre landmark site of Christ the King Cathedral on 1-94, near the 131 interchange became available, we felt it was God’s next step for VFC. We purchased that property and began construction on our new worship and outreach facility. Today, we are in a tremendous season of growth, momentum, equipping and expansion! Years of sowing God’s Word into the hearts of kids, teens and adults have resulted in a wonderful reaping as more and more people come to Christ, grow in their faith and step up into leadership roles and serving others. The vision that God planted in Jeff and Beth’s hearts is indeed coming to pass. As we look forward, we know Jesus will continue to build His Church and help us reach more people and empower them to live a great life with God!